Please advise me of how the cheaper fix works. Do they use refurbished ABS modules or do they just fix the module? Also I hope it's a long term fix and not a short term one. 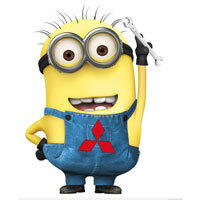 Well, after reading all these, and contacting Mitsubishi Aust, very disheartened and **ssed off. My lancer was bought new in April 2010. has done under 68 000km. Been serviced by Mitsubishi exclusively till last service, when we got new tyres, so had it done by reputable dealer at same time. Has driven to school/work and home. Nothing exciting, regular use. ABS light came on, off, on & we notified Mitsubishi when the car went in for the unrelated recall notices we recently received. As it is our of warrantee by 17 mths, the best we could hope for was a goodwill deal, where like previous notes on here, they covered the cost of the item, we covered labour. No such luck. I contacted Customer Care, which should really be named Don't give a toss, as they don't. They reiterated their decision that too bad, so sad. They don't care what the internet says, how many people on forums say they have a problem, how widespread it might allegedly be, nor do they care if they've previously helped some, not others. They don't believe this has any bearing on my car. Or your car. And yet, it seems obvious that IT IS AN ISSUE. And they are aware of it. They arbitrarily decide to help one, but not another. And I didn't yell, in case you're wondering. 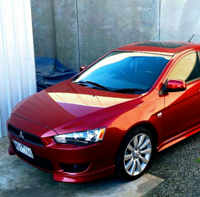 Having owned a Pajerro with my ex, and he has another, while I have the Lancer, I WILL NOT BE GETTING ANOTHER. Disgusted in their handling of this situation. Which is a shame, as I liked the car. And thought that previously Mitsubishi were pretty good. Happy my husband now has a KIA, as their warrantee is 7 years. Will remember to sell our cars just prior to that expiry now though...as I won't hold my breath re ANY car manufacturer doing the right thing. I really do think that perhaps we should start collating data & present it to Mitsubishi and the ACCC. Anyone interested? Hi i have the ABS & ASC come up on the car, how do i fix this ? joel.salvadorena wrote: Hi i have the ABS & ASC come up on the car, how do i fix this ? Helpful for us in Australia? Probably not really much more than news about the fact that some of our friends on this forum have been lucky enough to have local dealerships assist with the cost of replacement. I do however think (acknowledging here that Mitsi Shareholders prolly don’t care a great deal about what I think) it’s woeful for Mitsubishi to treat thier domestic custommers with greater regard than they do their customers from other markets. I’ve always found the whole premis of ‘managing expectations’ somewhat contemptuous. Right now I wouldn't mind a hybrid Nissan/Renault/Mitsubishi Lancer sharing the underpinnings of another car as long as its modern, has its own look and full of the latest tech which is missing from the Lancer because its basically dead now. I now some parts of the Lancer (and other Mitsubishi's) share parts with some Euros already and while other makes are still able to make small cars its sad that Mitsubishi is going down the same path as many in the US. The big 3 over their recently said they will be moving more towards SUVs and 'Trucks' and away form sedans and hatchbacks. Part of this is customers in the US have been going towards SUVs for years but its also a result of Trump and his tariffs because the likes of Ford were gonna source the next Focus from its plants in China. Lancer1993 wrote: Ford were gonna source the next Focus from its plants in China. Interesting fact, Tarifs on Chinese cars etc coming into the states were low, while the opposite direction were high. also Chinese entities are able to own and operate factories in the US while the opposite was not allowed. Volvo has also opened a manufacturing plant in the US for their automotive arm. This recall is not related to stuck brushes in the ABS pump. They did a few recalls on drive belt, pulley, ETACS, indicator stalk, sun roof so it is not like they haven't done anything. Different countries have different recall standard. Losing indicators / lights or power steering suddenly is a biggie. ABS failing isn't. FM2 - for clarity I’ve actually been very VERY impressed with the lengths Mitsubishi have gone to re the minor recalls you mention. I’m not the original owner of our cars (2 of similar vintage, only 1 with this problem atm...touch wood), however their recall letters have tracked us down nonetheless and the way they’ve managed the whole process has been pretty slick. FM2 - with the very greatest of respect - you are quite wrong - that link is to a JDM recall - locally termed campaign. I also respectfully disagree with you re the loss of ABS, EST, Traction Control (maybe not so much the hillstart assist) for my family is a biggie....but then you know what they say about opinions being a part of the non gender specific anatomy most of us are blessed with (if you think yours is a better one than mine then I’m happy to let you have that one without argument!!!). first thing i'm going to try is bashing the hell out of the motor, if it clears the error is fair to say its the brushes that are cactus but at least that will identify the problem. If i do pull it apart i'll try and do a write up about overhauling it. It is a shame that these things aren't built to be serviceable. Imagine if we can just remove the pump using an allen key and swap a new one in or take it to a electric motor repair shop while the unit is still in the car. No need to mess with brake fluid and bleeding. hey are all 2 litre Lancer ABS pumps all compatible? not that mine's stuffed but it sounds like the earlier models have issues and there is a 2015 Lancer at the wreckers with under 30,000 kms which I think would be good as a spare. thanks!